Don’t be unprepared for the upcoming winter weather! It appears we have a long winter ahead in Maryland and surrounding states. It is not even Thanksgiving, and we have already seen the first snowfall of the year. Snow and ice can make treacherous driving conditions. If you want to ensure the safety of drivers on your property, snow removal is essential during the winter season. Sometimes, snowfall is bad enough that you need to call the experts to clear your facility or roadways professionally. 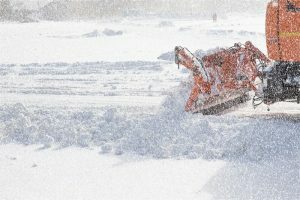 Keep reading and discover some of the major benefits of investing in professional snow removal. Safety always needs to be a top priority when it comes to driving. If you are an owner of a business, you are responsible for the safety and wellbeing of the people on your property. This is why many businesses are even required to remove snow before it turns into ice. Since snow can quickly pile up, it is important to have a team of professionals who come to your property which can make it as safe as possible. Removing snow from a parking lot, driveway, or sidewalk may seem like a straightforward task. However, in many situations, you need to have the knowledge and experience to get the job done right. A good snow removal contractor knows how to remove snow from your property without causing any major damages. They will know where to put the snow so that it is out of the way for vehicles and pedestrians. Also, they will have the tools and equipment needed to get the job done right. Are you a busy business owner? If you have many things on your plate, the last thing you are going to want to deal with is keeping up your snow removal. By hiring a professional team to tackle this chore, you can keep your focus on the demands of your business and not on the harsh weather conditions. This entry was posted on Thursday, November 15th, 2018	at 4:28 pm	and is filed under Snow Removal	. You can follow any responses to this entry through the RSS 2.0	feed. Both comments and pings are currently closed.